MoneyChords.com is your one source for the best free guitar lessons available on the Web for over ten years. Click to the left for a large and growing collection of Guitar and Guitar Chord Lessons, Chord Progression Studies, Tablature, Songwriting Resources, and Jazz/Standard Chord Substitutions. Here is "What's New" at MoneyChords. Our "Chord Progression of the Month" is the Folk Progression. Learn more about this popular progression by clicking here. Our featured lesson is Add Some Spice To Your Musical Meal By Using Diminished Triads by Duane Shinn. Major and minor chords are the meat & potatoes of a musical meal. To add saltiness to the meal, add a few diminished chords. Learn more by clicking here. Our "Chord Type of the Month" is the Diminished Chord. Learn bout this great sounding chord by clicking here. Unravel the mystery of Jazzed-Up Jingle Bells by clicking here. 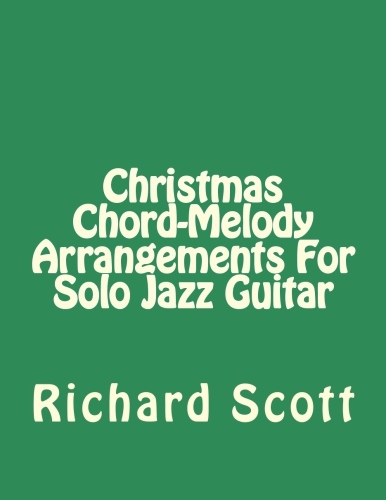 Learn to play an easy chord-melody arrangement of the Christmas standard Have Yourself A Merry Little Christmas by clicking here. It's never too early to start working on your Christmas tunes. 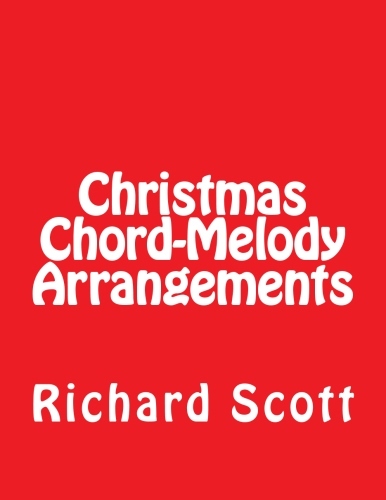 Below are two new Christmas chord-melody portfolios by your webmaster available at Amazon.com. Click on book covers below to learn more. If you would like to contribute a lesson to our website, you are welcome to submit your article to us by e-mail. We are always interested in lessons on any guitar or songwriting related subjects. If you're looking for something specific, search our website below.